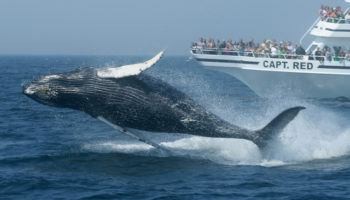 Cape Cod is New England’s quintessential summer colony. Known for a long time as a retreat for the affluent during the warmer months, this oddly shaped peninsula is famous for a good reason, of course. A mix of quaint landscapes, nature reserves, amazing family-friendly beaches, historic buildings, and seafood, Cape Cod also holds a special place in the history of America. It was in Cape Cod where the Pilgrim Fathers first landed and set up the first proper English settlement of New England – Plymouth. 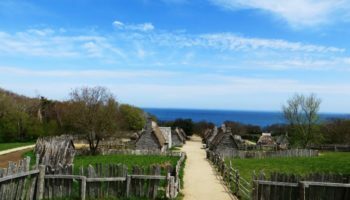 This makes the illustrious history of Cape Cod, stretching back to the early 17th century, one of the most attractive things about the area – especially for anybody interested in learning about American heritage. 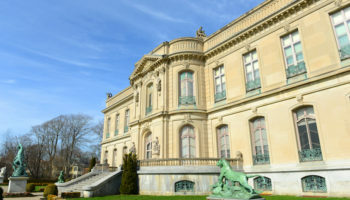 Although there is a lot of it to soak up, stretching all the way from Provincetown in the north to Nantucket Island in the south, it isn’t all about history in Cape Cod. There are chances to try your hand at a host of watersports, with many of Cape Cod’s southern beaches popular with windsurfers and swimmers. Surfing and yachting are also some of the best maritime activities you can get up to here. Nature fans will love the opportunities to spot birds in remote island refuges, catch a glimpse of seals, or even see elusive whales on their long migrations. Hiking along coastal trails, around marshes and rivers, or further inland through pine forests, is a great way to spend time in this spectacular part of the world as well. Staying in Cape Cod is easy. Thanks to how popular this place is in summer, you’ll find accommodation along the main road routes running through the peninsula, self-contained cottages along coastal areas, and even high-end resorts. Getting around is a piece of cake too; you can thank the road network, heritage trains and comprehensive ferry services for that. Sitting right on the northernmost tip of Cape Cod itself, Provincetown – or P-town as it is sometimes called – is definitely a cool place to stay. 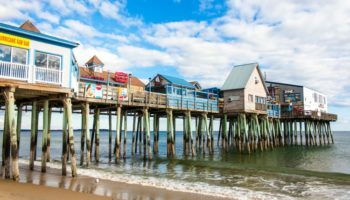 Not only is this a great place to come for summertime beach fun, thanks to numerous stretches of sand and sea including Herring Cove Beach and Race Point Beach, but it’s also a popular vacation destination for LGBTQ travelers. Most famous of all about Provincetown is its illustrious history. Namely, it was at this point that the Mayflower, carrying the so-called Pilgrim Fathers, landed in 1620. This is commemorated at the Pilgrim Monument; visitors can learn more about the Mayflower at the Provincetown Museum. With its hotels and guesthouses on the seafront, including many refined, mid to high-end options, Provincetown is also easily reachable by car, thanks to Massachusetts Route 6, which runs the length of Cape Cod. The coastal town of Falmouth dates back to 1660, but it’s not necessarily about the long history of this Cape Cod settlement that makes it a great destination today. 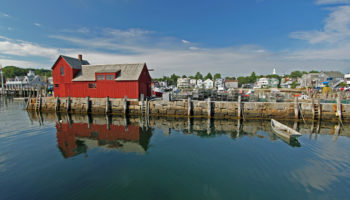 Falmouth is full of all the picturesque New England seascapes that you can imagine, with tree-lined stretches of coast, beaches, and postcard-perfect seaside communities. It may not be packed full of hotels, but there are still a fair few places to stay, from locally run B&Bs to inns with Victorian-era fixtures and fittings. Visitors can catch a ferry from the southernmost village of Woods Hole across to the famous island of Martha’s Vineyard, or you could just head to one of the many beaches across Falmouth for a relaxing time by the sea. There’s the white sand of Falmouth Beach or the charming Wood Neck Beach, for example. Route 28, off Route 6, connects Cape Cod’s southernmost town of Falmouth by car. Chatham is the westernmost town on Cape Cod and includes within its boundaries the remote Monomoy Island. This long stretch of dunes, marshes, and beaches has no paved roads but can be toured via a boat excursion, which is also a great way to spot the seals that call this wildlife refuge home. Elsewhere, the coast of Chatham is also marked by its beaches, marshes and sand dunes. In town, Lighthouse Beach – named after the 19th-century lighthouse close by – is an exceptionally popular spot for beachgoers, but the calm waters of Cockle Cove Beach are a good alternative, especially if you’re visiting with children. There’s also Chatham Railroad Museum, housed in a former train depot dating all the way back to 1887. Connected by Route 28, Chatham is home to a handful of charming, cozy inns and B&Bs for visitors to enjoy this slice of New England. 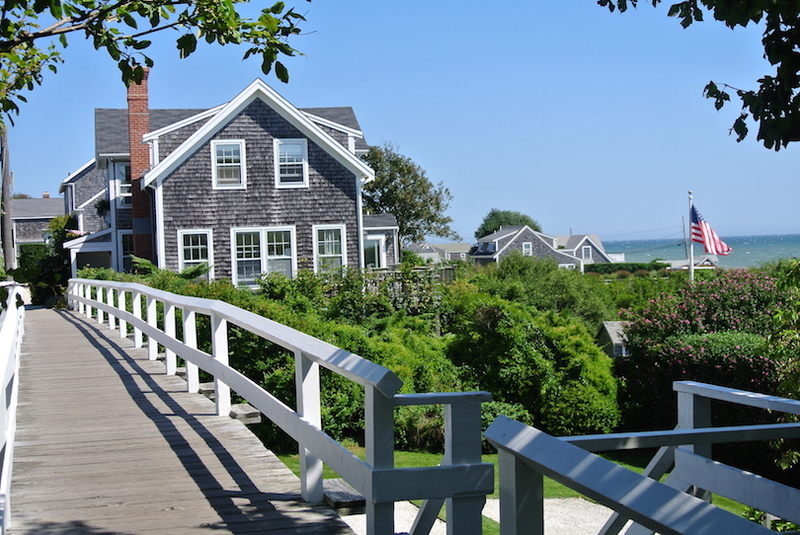 Located on the narrow isthmus between the southern part of Cape Cod and the northern tip at Provincetown, Eastham has a number of hotels just off Route 6 that runs through town. Scattered throughout town, visitors will find reasonably priced inns to fill their accommodation needs – some are located in historic buildings, too. There are also a few RV parks for those on a road trip, with all the mod-cons. Of course, the order of the day in Eastham is getting out into nature. The Fort Hill area has some hiking trails winding their way through the coastal landscape, including the Red Maple Swamp Trail. There’s also a vast stretch of sand to enjoy in the form of the Nauset Light Beach, named after the iconic 19th century Nauset Lighthouse located on the shore. History fans should note that Eastham is also home to the Eastham Windmill, the oldest windmill on Cape Cod, which was constructed back in 1680. Hyannis is probably the most well-connected town on Cape Cod. Not only is there an airport nearby, making it the perfect place to stay for convenience, but there’s also a train station. Heritage train journeys on the Cape Cod Central Railroad run from Hyannis to Cape Cod Canal, offering food services and scenic vistas – most popular during summer, of course. Even more convenience: Hyannis is also home to the ferry port that offers services to Nantucket. 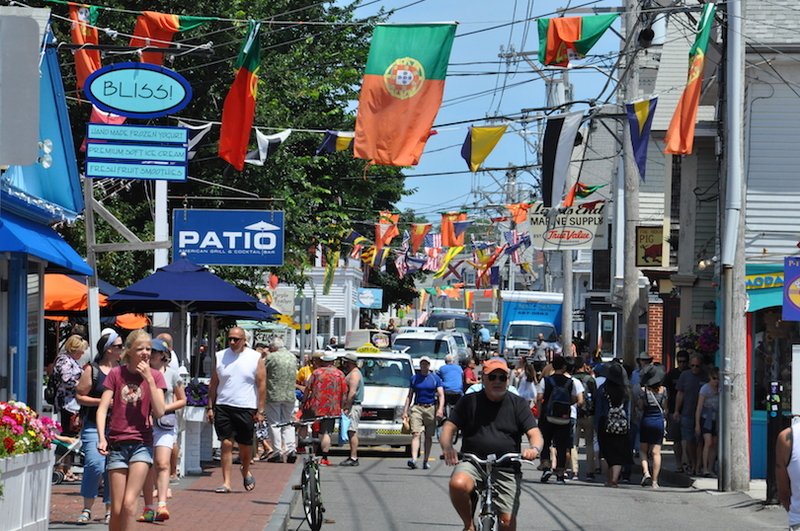 Aside from being a transportation hub, Hyannis is Cape Cod’s largest town and commercial center. 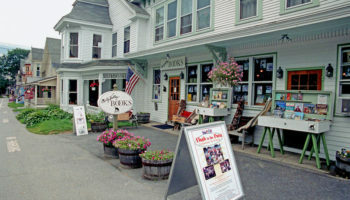 Accommodation in Hyannis is a mixed bag, including hostels, seasonal B&Bs, inns, and hotels situated in heritage buildings. Also set in a historic building in town is the John F. Kennedy Hyannis Museum, where visitors can learn all about the late former US president and the vacations he used to take here. Known for its long stretch of beaches, including Sea Street Beach, Depot Street Beach and Raycroft Beach, Dennis Port is a great destination for anybody looking for fun by the sea. The family-friendly, warm, calm waters of these beaches are as perfect for swimming as they are for windsurfing – both popular activities here in the summer months. Beach houses, cottages, hotels and guesthouses abound in Dennis Port; many are only open in the summer season. For a different kind of watery experience, head north over Route 28 to Swan Pond; you can rent a kayak or paddleboat (or even a paddle board) here and escape for an hour or two of fun or simple drifting around. In fact, you can make your way to Nantucket Sound itself, complete with sandbars and tidal flats. The irregular coastline of Orleans – located directly south of Eastham – lends itself to exploration by boat, much of which is actually a protected environmental area. Beaches in the town of Orleans include Pleasant Bay and the much more famous Nauset Beach. The latter actually sometimes boasts some large waves, which are popular with boogie boarders and surfers alike. Swimmers and anybody who enjoys lying on the sand soaking up the rays will enjoy Nauset Beach, but it’s also good for fishing, with striped bass and bluefish being the catch of the day here. Founded by Pilgrims from Plymouth in 1693, Orleans has its fair share of history, including the Orleans Waterfront Inn – a hotel still in operation that dates back to 1875. Many other guesthouses and hotels can be found in Orleans as well. Both Route 6 and Route 28 meander their way through town, making it easily accessible, too. Collectively making up the area known as Yarmouth, and bordering Hyannis to the west, both South & West Yarmouth make a great place to base yourself in Cape Cod. Fans of history will love exploring the heritage buildings on offer here. 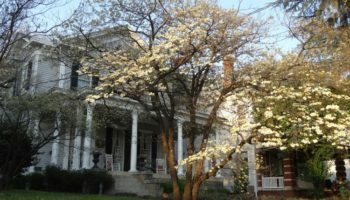 Sites range from the whitewashed Captain Bangs Hallet House Museum – the former home of a sea captain, dating back to the 1700s, which can be toured around – to the Taylor–Bray Farm, first settled in 1639. Also interesting is the Whydah Pirate Museum, boasting artifacts salvaged from an 18th-century wreck. 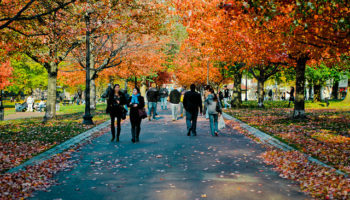 There are nature trails in acres of forested land set around Millers Pond, providing a scenic place to stroll and breathe a breath of fresh, woodland air. Accommodation ranges from guesthouses along Route 28 in West Yarmouth to cottages and hotels along the beaches of Parker River Beach and South Middle Beach in South Yarmouth. 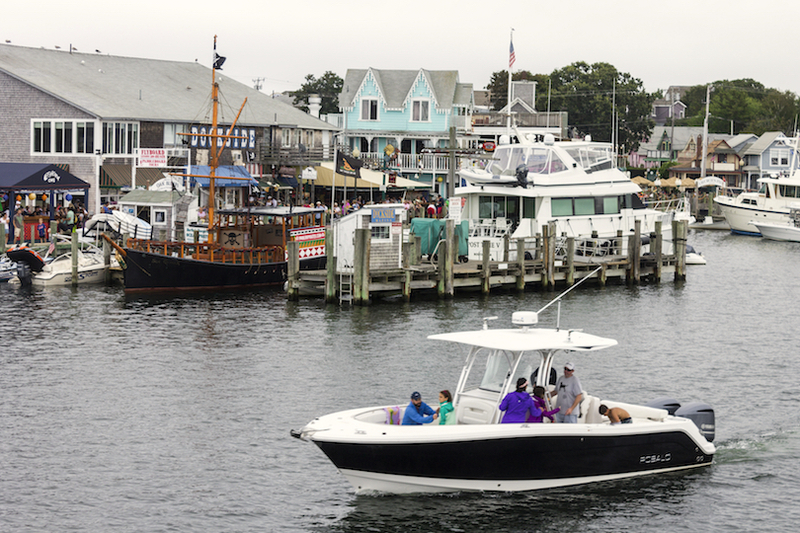 Reached via ferry from Hyannis – or Oak Bluffs on Martha’s Vineyard – Nantucket is among the most famous destinations on Cape Cod. 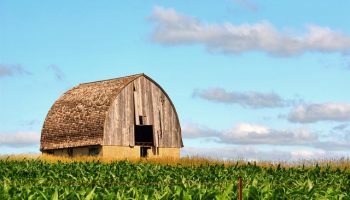 The history of Nantucket properly begins in 1659, when it was purchased for thirty pounds and two beaver hats by Tristram Coffin from its original settler. There’s evidence of its long history in almost everything about Nantucket, from the charming cobblestoned Main Street (a designated Historic District) and the Jethro Coffin House, all the way to the Brant Point Light, established in 1746. 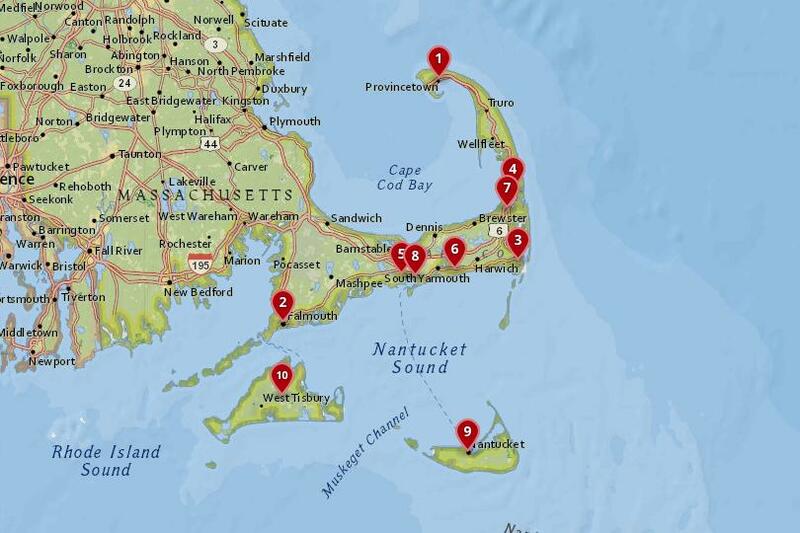 Naturally, there are many places to stay in Nantucket, most of which can be found in the port area. But around the island, there are hotels, cottages, and guesthouses, like those in the Siasconset Beach area. Some of these are definitively in the high-end of the spectrum – for example, The Wauwinet is a five-star offering in the northeast of the island boasting two private beaches. 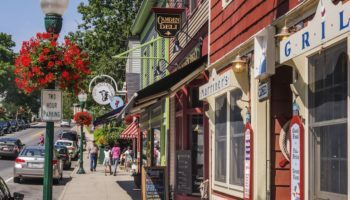 The quintessential Cape Cod vacation destination, Martha’s Vineyard is the perfect example of New England summer cottages, seafood, quaint villages, and historic buildings. There’s a lot to do on the island as well, with its wildlife reserves, beaches, and museums. You could stroll around the Manuel F. Correllus State Forest, relax on the long expanse of Katama Beach, or hike the coastal trails of Great Rock Bight Preserve. Equally, visitors can wander around the storied buildings of centuries-old Martha’s Vineyard, like the Edgartown Village Historic District – boasting an old whitewashed Whaling Church – or Wesleyan Grove, complete with rows of colorful late 19th-century gingerbread cottages. Martha’s Vineyard can be reached via ferry from Nantucket, or even Hyannis, though Woods Hole is most convenient. Awash with inns, resorts, and hotels ranging from relatively affordable to high-end, there’s somewhere for everyone to stay on this island.